Rich in natural active ingredients like jojoba oil (with strong antibacterial properties, which aid cells in the production of elastine and collagen, substances that help maintain a young skin); karite butter (for a moisturising, nourishing and softening effect); botulinus toxine (that reduces the depth of facial wrinkles caused by the contraction of expression muscles); phytaluronate (having the same properties of collagen with the benefit of being of vegetal origin; furthermore, it prevents dehydration and has visible moisturising and anti-wrinkle effects). They are all combined with thermal water for the purpose of fighting skin aging. 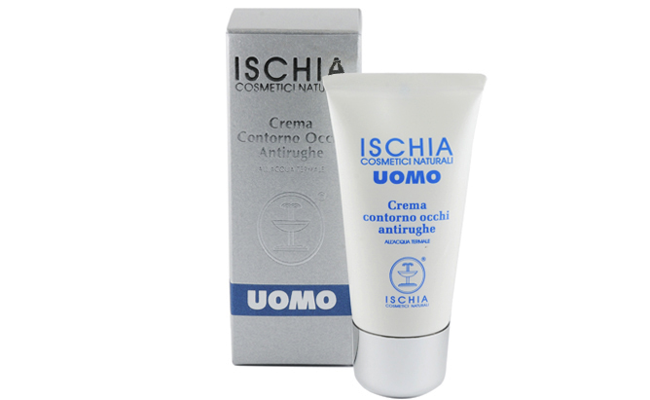 This cream moisturises and nourishes the skin, reduces small wrinkles and prevents the formation of new ones in the eye area where the skin is thinner and therefore more sensitive to external aggressions and pollution. Suitable for instant fresh, relaxed, rested and elastic look of the eyelid tissues. For daily use, it is easily absorbed.